Cape Canaveral, Florida. September 17, 2014 – The U.S. government’s CLIO satellite, designed and built by Lockheed Martin, was successfully launched yesterday from Cape Canaveral Air Force Station. 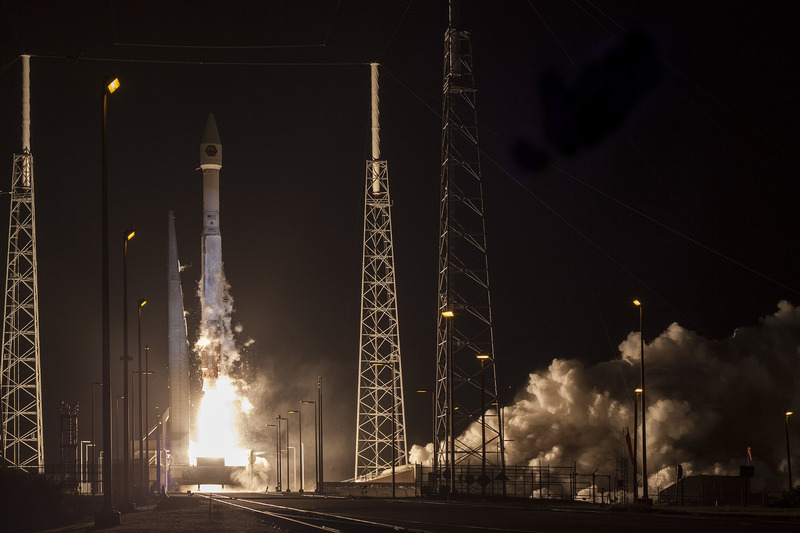 Lift-off occurred at 6:10 p.m. MDT aboard a United Launch Alliance Atlas V launch vehicle. Initial contact with the satellite was confirmed at 9:08 p.m. MDT. The CLIO system is based on commercial technology, including Lockheed Martin’s A2100 satellite bus. The A2100 bus is a common framework including the satellite’s solar arrays, propulsion system and core electronics. There are currently more than 40 A2100 spacecraft in orbit with more than 400 collective years of on-orbit service, including both commercial and U.S. government satellites. The A2100 modular geosynchronous satellite has a design life of 15 years and a flexible payload capacity ideally suited to meet the demand for commercial space systems well into the 21st century—a demand driven by growth in mobile telephony, business services, direct broadcast, internet, multimedia and broadband services. The Atlas V is one of the world’s most reliable launch vehicles, with an unparalleled record of 49 consecutive successful launches.